The difference here is that CMG has only recorded a 19% increase in shares sold versus shares bought which is not excessive. 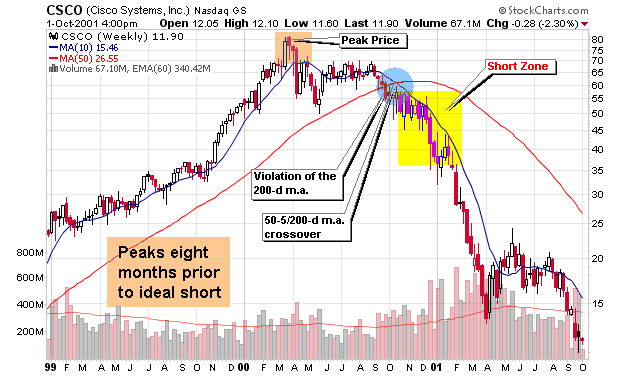 However, the stock has violated the 200-d moving average for the first time since the long up-trend started. We can also see the first violation of the relative strength versus the S&P 500 suggesting that the stock is no longer a leader and may fall victim to increased institutional selling. Yes, the current fundamentals look strong but CMG posted a fourth-quarter profit that missed Wall Street’s expectations and said 2008 would remain challenging, raising some red flags in my opinion. They could be playing it cautious or they could be signaling the beginning of the end of this particular run. The stock is 32% off of its all-time high and has been falling on increasing volume as it violated the long term moving average. I am not shorting at this spot but I will jump on puts about six months out on the first failed attempt to make new highs above the 200-d m.a. It took a couple of months but CROX did get Swallowed and it all started with the small and subtle red flags that we are starting to see with CMG. The Inverse ETFs that I highlighted in October are really paying off with an average three month gain of 21%. I will admit that I didn’t buy any of them but I know several readers that were real excited about their potential and their ease of use. Many traders are turned off by the complexities of shorting or just don’t feel comfortable about the process so Inverse ETFs present them with a simple solution. Trading Inverse ETFs allows traders to place an order that mimics the buying and selling process of a regular stock but you are now betting the short side instead of the long side. These trades allow the investor to ride the market down without the complexities or uncomfortable jitters of shorting. As I wrote in October, Inverse ETFs are specifically designed to move in the opposite direction of the underlying market index. Thus, if the Dow Jones Industrial Average declines by 1 percent, its inverse ETF (the Short Dow 30 ProShares Fund, symbol DOG) will rise by 1 percent. 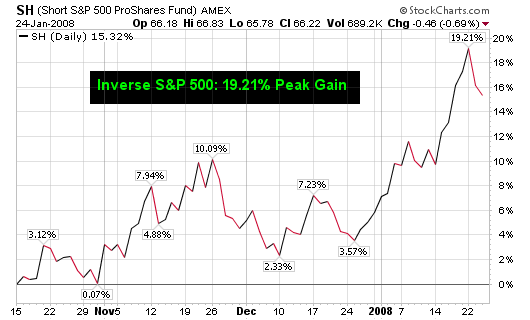 When the S&P 500 falls by 1 percent, the Short S&P 500 ProShares Fund (SH) will rise by 1 percent. I don’t recommend jumping into these ETFs right this moment (the previous opportunity was in October when I presented them) but keep an eye on the market and look to pounce when the major indexes bounce higher and start to show overbought signs. Be patient just as you would with trades on the long side. 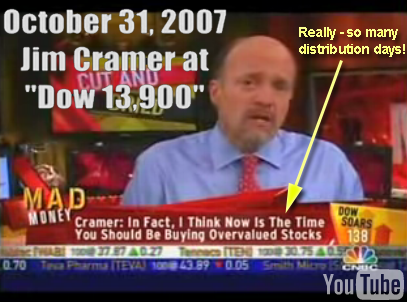 Jim Cramer was yelling about buying overvalued stocks on October 31, 2007 while I was continuously writing about selling, distribution days and taking profits. He also predicted that the banking stocks would be the top performers in 2007 – go figure (at least he paid his $50k bet for losing that prediction). YES, I did upload daily screens and stocks with the strongest relative strength ratings so I am not the superhero of calling this first bear market push but I feel very good about what I wrote (especially since the number of readers continues to increase – that says it all). Looking back, I offered at least a dozen high quality, highly detailed articles about some type of selling, profit taking or market distribution days. Shame on anyone (including me) that ignored the signals as they slapped us in the face, week after week! Take a look at some of the highlighted articles I wrote as the market was topping. I think this list contains some of the best work I have ever done on this blog or my former equity research website. 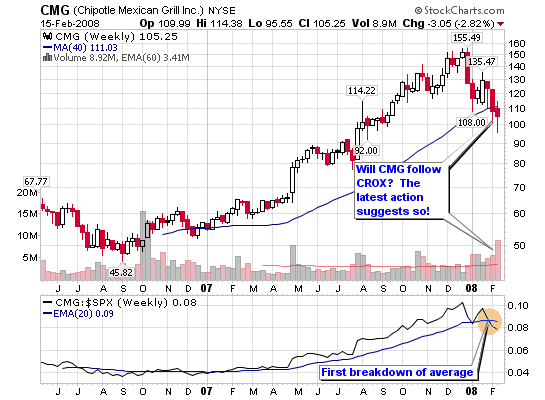 Finding growth stocks and presenting them during an up-trend is the easy part. Selling and profit taking is the hard part; let me correct myself – selling is the hardest aspect to grasp when trading (in my opinion of course). What do you do in a market like today when you have profits in multiple positions but you don’t want to give it all back? You want to continue to ride the winners but at the same time, you want to maintain the unrealized gains in your account. HOW? This was the largest showing of volume in two months and is not healthy because it was pure distribution. It was only the second distribution day over the past month so we can’t call this a bear run but please be on the lookout for a possible correction of 5%-10%. Technology stocks led the decline as BIDU gave back 10% of its amazing run. Have you ever wanted to short the market because you knew it was going down but your were too overwhelmed, nervous or even scared because you were unsure of how to do it. 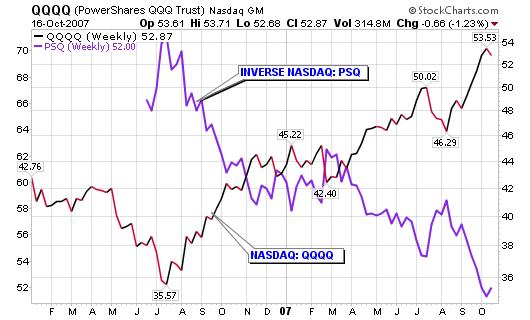 Well, Inverse ETFs may be your thing. 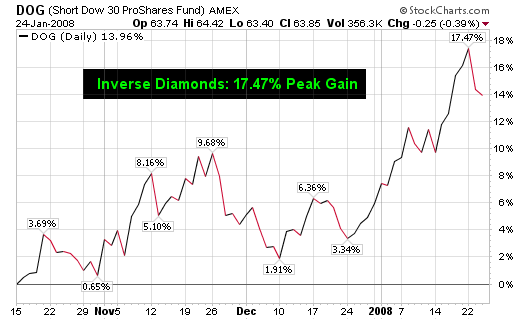 These inverse ETF’s closed Wednesday with gains of 13.42%, 15.43%, 22.31% and 18.76% since I wrote about them. 10/18/07:The Real PTR Climax Run? Petrochina (PTR) Climax Top? However, the HUGE volume on the latest push to new highs clearly indicates something is going on. 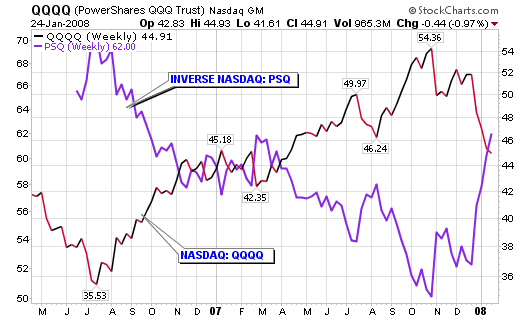 Technically speaking, we now have 4 distribution days for the NASDAQ and 3 for the DOW over the past month. It’s now time to start focusing big-time on the market leaders to see where they are going to take this market. If they start to roll over, you better be quick to take profits and even quicker to take losses. 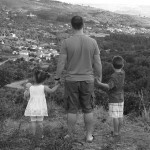 I wrote a post titled Will CROX get Eaten? on September 20, 2007 and strongly noted the declining institutional support (see numbers below). Someone was jumping out of the stock and we now know why! Keep in mind that nearly 75% of all stocks follow the general market trend. Your cash doesn’t need to be committed to the market at all times. This philosophy is suited to making the most money in bull markets or markets trending higher. Why do so few books exist on the subject of “How to Sell”? Selling techniques are far more complicated than buying techniques and subject to considerably more emotional pressure, than those of buying. I promise that I will get back to analysis and uploading charts by next week the latest. That’s what I love doing most anyway and it seems to be the biggest draw in traffic. I have (privately) screened several potential shorts over the past couple of months but this market is not ready to roll over just yet. 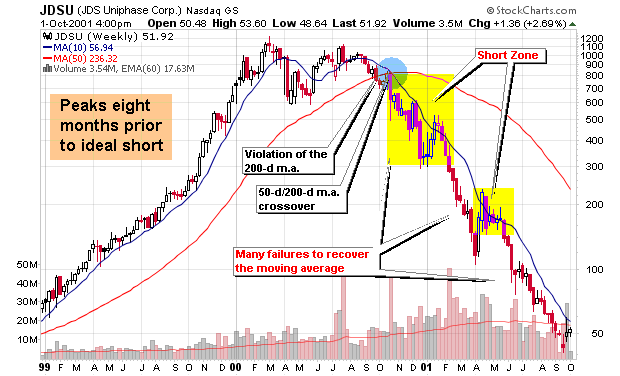 I was early with my shorting analysis in 2006 so I do not want to make the same mistake in 2007. However, more and more stocks seem to be building bases like the ones from the bubble burst in late 1999 and early 2000 (examples in the charts provided). When I short stocks, I look for longer term trends, not short term swing trades (rarely ever day trades). 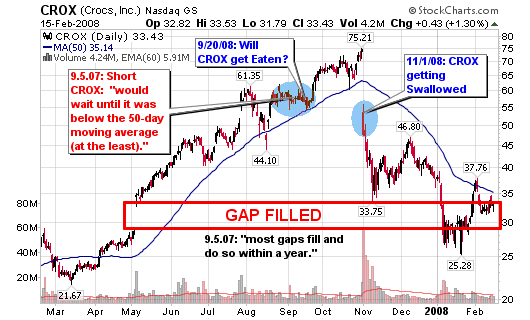 The shorts I want look like the charts in this post (they take months or even years to complete). I want the high flyers that will be crushed over the next several months. 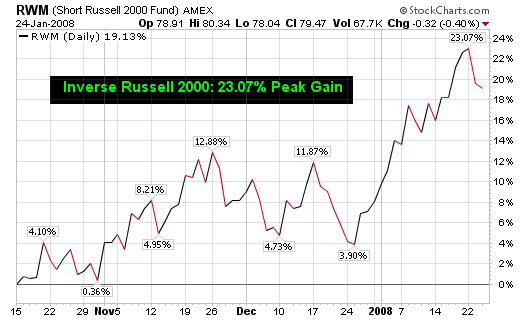 Just as I like riding trends higher, I like riding trends lower over the intermediate to long term (4-12 months). I am trend trader at heart and it is what I do best. We will have bounces to the upside over the next few months and the Fed will try to stop the bleeding but the stocks that are due for crushing blows will be dealt those blows eventually and we all can profit from them. 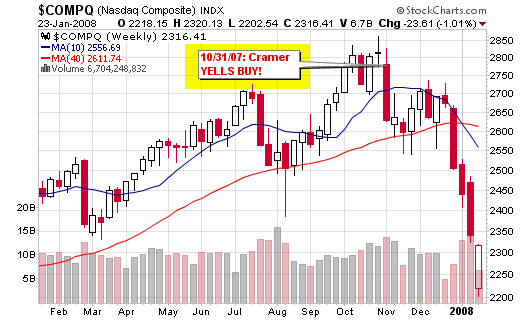 Stocks may move 20%-50% (in both directions) at times so be careful. 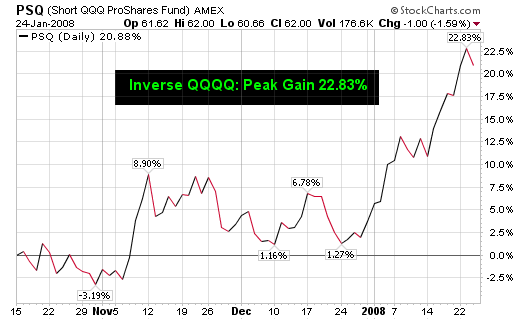 I will spend the remainder of the week posting up charts that look ready to become long term losers. Charts similar to the examples below. Give the charts time to form, be patient because many of these will look to move higher at times (as soon as this week and next) prior to their inevitable fall. The title of the post is borrowed from the book “How to make Money Selling Stocks Short” by William J. O’Neil. It’s an ideal book for investors that focus on trading longer term trends and don’t necessarily do this for a profession (i.e. : day traders). The book contains some excellent strategies for finding prime shorting candidates or stocks that are about to enter a declining stage that may offer excellent risk/reward setups for buying put options. I consider several of the techniques in the book to be reverse CANSLIM? 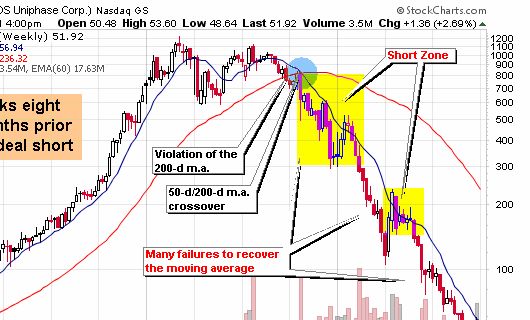 Study the charts from the past that have setup ideal shorts and then screen for those same characteristics in stocks trading today. Many of the ideal shorts from past market declines have held the reverse characteristics of an ideal CANSLIM stock (that you would want to buy). 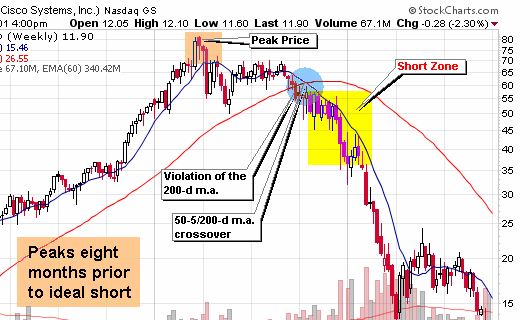 Many traders believe that the most obvious area to place a short would be near the peak of stock’s trading range but studies have found this to be untrue.